Gorgeous photo for Doyle, thanks. you are most welcome and thankyou so much for looking and liking. This is very, very lovely! Thanks! Thankyou so much and thanks for the compliment, much appreciated. Thankyou so much. I'm glad that you like it and thankyou for looking. Very nice pic, that hard-to-define expression ... thank you for sharing! you are very welcome and thankyou so much for stopping by to take a look. you are very welcome and thankyou for liking this. I love everything about this pic. Simply gorgeous. Thank you so much! you are very welcome and thankyou so much for liking my artwork. I love the way you played with the texture of this image. Very well done! Thankyou so much and please enjoy it. So glad that you like it. Thankyou. I don't know that I remember the original picture, but I certainly like what you've done with it. A very thoughtful Doyle. 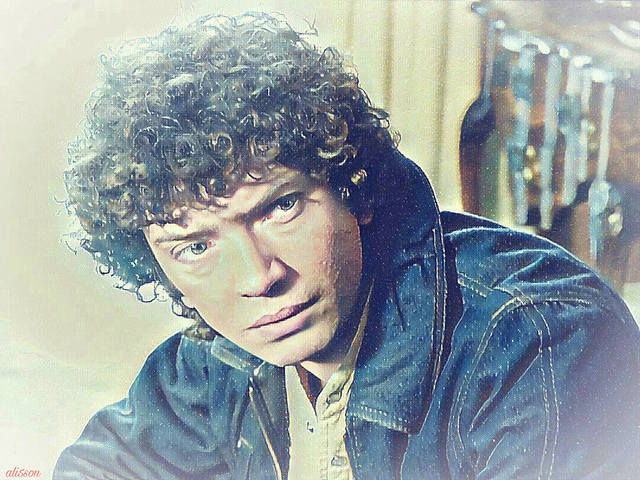 This was created using one of my screencaps from the episode "Backtrack". I'm glad you like my work, thankyou.